It’s beautiful and moist, perfect either eaten cold, or even better when toasted as it really brings out the flavor. 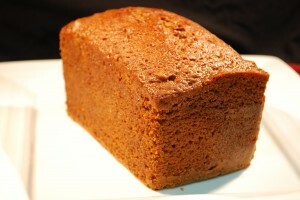 Available wholesale as a loaf, you will typically get 8 – 10 slices per loaf, and it is great for your café or deli. Ask us about it next time you place your wholesale bread, cake, or pastry order.